Before Mad Max: Fury Road began to take shape, rebooting the franchise and giving 2015 one its best movies, there were plans for a true Mad Max 4 sequel that would have had Mel Gibson reprising his iconic role as Max Rockatansky. But as history has revealed, that follow-up was doomed never to happen. And now we have Tom Hardy in the role of the mad one. So, what kept Mel Gibson from donning his one-armed leather jacket a fourth and final time? Speaking with Yahoo! Movies, Mad Max: Fury Road director George Miller has finally opened up about what exactly happened with his planned Mad Max 4. Which eventually became Mad Max: Fury Road. This reboot was 15 years in the making, and it was an epic journey to finally get it on screen. 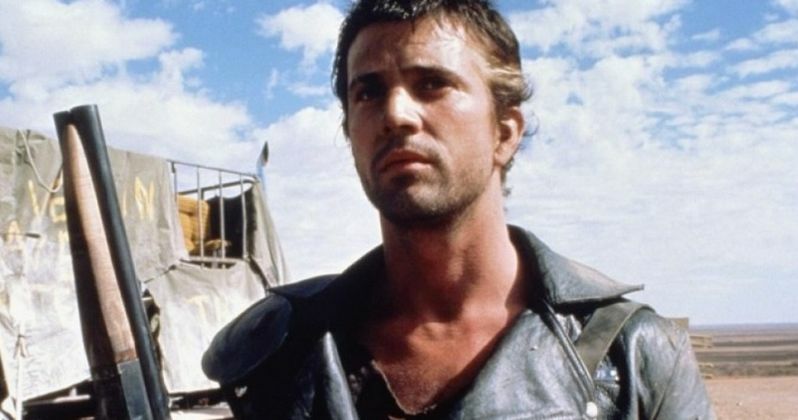 The original Mad Max 4 starring Mel Gibson almost moved forward as a real movie twice. The actor was signed on, and a story was firmly in place. And if everything had of gone according to plan, it would have been in theaters summer 2001. But then something tragic happened. George Miller explains how his movie came to a screeching halt. "9/11 happened. The American dollar collapsed against the Australian dollar, so we lost close to 25 percent of our budget within days, and we just couldn't recover that. We just couldn't cut the film down. That's how it is in the film industry - you set to do things, you almost get there, and then something happens. But eventually we got the film made." With Mad Max 4 out of commission, George Miller returned to Warner Bros. studios and went to work on a family movie that couldn't have been more removed from the apocalyptic landscape of Mad Max if it tried. His 2006 animated musical comedy Happy Feet went onto win Best Animated Feature at the Academy Awards. And following its success, George Miller decided to once again resurrect his plans for Mad Max 4 starring Mel Gibson. But then the actor had a serious meltdown in the press, which once again put a kibosh on the stalled sequel. Says George Miller. "Then Mel hit all that turbulence in his life." While George Miller was attempting to get Mad Max 4 back off the ground, his leading man was arrested for drunk driving in a well publicized mishap, and he would go onto make headlines for his venomous anti-Semitic remarks. It wasn't until 2010 that George Miller finally decided to cast a new Mad Max in Tom Hardy, bringing Charlize Theron in as Furiosa around the same time. But the movie didn't make it very far through the production process, thanks to mother nature. Says the director. "We were to go out to Broken Hill again [where Miller filmed The Road Warrior] in the center of Australia. And then it rained in an unprecedented way...And these beautiful flowers just covered the landscape." Mad Max: Fury Road had to completely reschedule its shoot, and move everything from Australia, where the first three movies were shot, and uproot everything to the barren desert wastelands of Namibia in western Africa. It took over four more years to finally get the long delayed movie in theaters. But it certainly has paid off. Mad Max: Fury Road is now nominated for Best Picture of the Year at next week's Academy Awards. And a lot of fans still have faith that it could win the Oscar! Would Mel Gibson's Mad Max 4 have been as good?